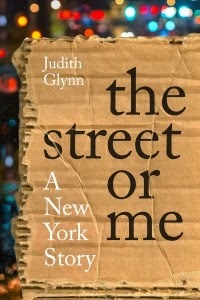 Judith Glynn is the author of a memoir, The Street or Me, and a novel, A Collector of Affections. She is a travel writer, and she lives in Rhode Island and New York City. Q: How did you create Leah and Miguel, the main characters in your novel A Collector of Affections? A: Truth be told, Leah and Miguel are based on a true story that happened to me on a flight to Spain where I met a charming seatmate. I was going to Madrid for an extended soul-search. He was on a two-week vacation. The flight produced a chemistry neither of us had experienced so quickly. We began an affair when we landed. Risky business for sure but I trusted my gut. We were middle-aged, professional people, savvy enough to enjoy the magic of travel with good old-fashioned lust. He suggested I write a book about us because it wasn't an affair, it was a love story. I wasn't about to do that. Simply too personal. I was accustomed to writing freelance travel articles and had never tackled a book. Instead, I wrote a 14,000-word love letter for his eyes only that I eventually shared with a few girlfriends. And they pushed me to write a sensual novel for the middle-aged woman, a subject not often touched upon. To round out the novel, most of A Collector of Affections is laced with fiction and travelers' secrets to give Leah and Miguel more of a story than they had. But I never expected the book to take four years to write. That was a journey in itself. Q: So Spain is an important setting for the novel. 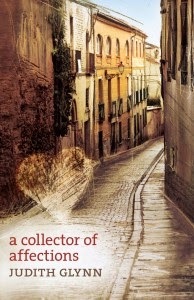 A: I adore Spain, and it's where the story began. During my prime travel-writing days, I wrote countless articles about the country and understand its sensual underbelly. Maybe I was a Spanish contessa in a past life. That's the only conclusion I have for my Spain fixation. I also like Portugal, which has a strong presence in the novel. It helped to "plagiarize" myself as I extracted descriptions from my travel articles to include in A Collector of Affections. Q: Moving on to your other book, why did you decide to write about your experiences with Michelle Browning, a homeless woman, in The Street or Me? A: During my two-year involvement with Michelle in my NYC neighborhood, I needed a release from the raw street life I encountered knowing her. I have no social work background and questioned my obsession to return her dignity and eventually return her to her family in Italy, which I did. As we became deeper friends, with me the only person between her death and a renewed life, I wrote our story for my computer screen only. I was trying to understand my relationship with her. Dialogue, the stench of homelessness, the hopelessness of her over-powering addiction and our woman-to-woman camaraderie poured out of me. Then I put the manuscript in a box for 20 years. After my first book came out, a deep sense of loss about not being involved in a long-term writing commitment unsettled me. Returning to 800-word articles seemed like child's play. Looking for a new story to tell, I revisited the dusty Michelle manuscript. Its impact made me weep. Since I was a better writer by then, I knew the powerful story needed work in order to be told publicly. I workshopped the piece in Charles Salzberg's NYC writing class. Thanks to him and my writing colleagues, two years later I felt Michelle and I were ready for prime time. But the memoir isn't just about homelessness, which never goes away. My one-on-one approach just might inspire others to look at the issue differently. But, more importantly, The Street or Me is about one woman helping another. Q: Do you prefer writing fiction or nonfiction? A: I lean toward nonfiction. I probably shouldn't reveal this but I'm more of a writer than a reader. There's simply not enough hours to do both well. At least for me that is. But when e-readers arrived, my reading did improve, especially on trips where it's much easier to pack an e-reader than lug a book around. A: I'm in limbo but that pesky sense of loss has crept back into my writer's mind. I might begin a series about a landlady since I am one. But recently I learned two important men in my life, supposedly members of good standing in society, were sent to prison. Imagine me knowing two jailbirds! There's a story there somewhere but do I dare tell it? A: Well, I love life -- all the bumps and joys of it. I'm a mother of four adult children and GG to six grandchildren. What a precious gift to discover after my divorce that I could write well. The craft helps me decipher how to live. And what's life anyway without a terrific story that has a beginning, middle and end to write about.